The intensive two-days practical course of the beer production in the small brewery. 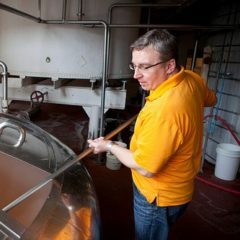 The tutor is a qualified Czech brewer with many years of experience. Designed for individual instruction of an operator and service workers in the microbrewery. Training and practical training takes place in a microbrewery operated by the customer, alternatively in a partnership microbrewery in the Czech Republic. This course is designed only for customers who already have a deeper knowledge in the theory of beer production. 2 days of practical training of authorized employee (future brewer) by a trained brewer with experience (instructor) in the production of beer in a small brewery, which is operated by the customer. Demonstration brewing at least 1-2 batches of wort (subject to capacity of a particular brewery) with cooperation of the future brewer. Performing a controlled fermentation process, covering the main fermentation in open fermentation tanks or CC tanks and maturation in lager or CC tanks. Demonstration of right procedures for sanitation of pipes, hoses, tanks and other equipment in the brewery using basic sanitation facilities. Basic training for the future brewer of the foundations of health and safety at the workplace, food hygiene and hygiene. Theoretical explanation of the basics of brewing. Training of workflows with the devices that are not a part of a microbrewery in basic configuration (filters, pasters, yeast propagation station, CIP, keg washers, etc.) – it is available for a surcharge as a separate service. Provision of other recipes for different kinds of beer – it is possible for an additional fee as a separate service. 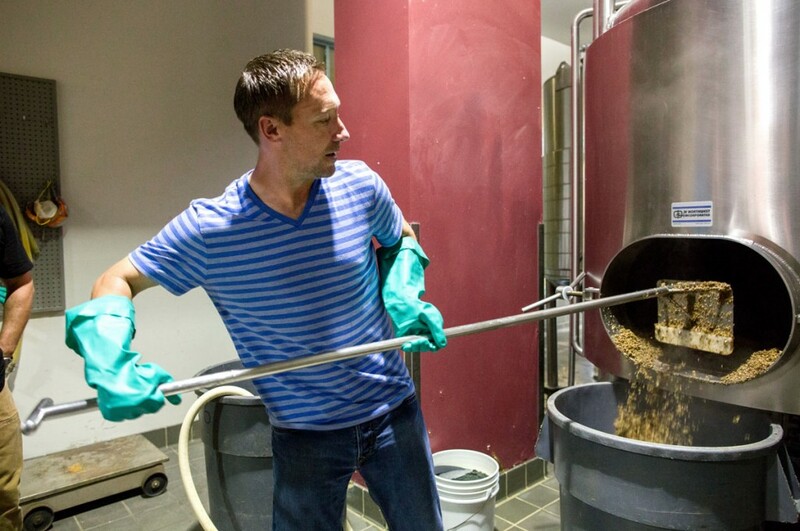 Training of more persons than one future brewer – it is possible for an additional fee as a separate service. Customers should already have a deeper knowledge in the theory of beer production. Future brewer ability to communicate in Czech, Slovak, English, Polish or Russian..
Full assignment of future brewer who will be in the microbrewery on their own and at their own risk according to the procedures communicated by the instructor and will carry out all the work required, including those which are in the run microbrewery usually carried out by an assistant of the brewer. Uninterrupted period of training. If the manufacturing capacity of the microbrewery is not sufficient to theoretical training to be conducted every day, the customer will pay the full amount regardless of the actual workload of the instructor and the future brewer. Starting date for the instructor and the start of the service is to be agreed by a signed contract with a provider for at least one month in advance and is for a customer and instructor binding. Exceptions can be arranged only in case if an alternative date suits both parties. CCTM-5000BT is a basic tank of the modular cylindrical-conical tank CCTM-5000 with recommended effective volume 5000 liters and total volume 6000 liters for fermentation, maturation (and also storage, filtering, bottling, filling into kegs) of beer, cider, wine and other beverages. Made of stainless food steel DIN 1.4301 (AISI 304). This description, offer and price include only the BASIC TANK without additional equipment and accessories described in the section “Optional equipment” . CCTM-5000A2 is a pre-configured modular cylindrical-conical tank CCTM-5000 in recommended configuration A2. This tank has effective volume 5000 liters and total volume 6000 liters and it is designed for the fermentation, maturation (and also storage, filtering, bottling, filling into kegs) of beer, cider, wine and other beverages, according on selected type of the basic tank (see a tab bellow). Made of stainless food steel DIN 1.4301 (AISI 304). CCTM-4000A2 is a pre-configured modular cylindrical-conical tank CCTM-4000 in recommended configuration A2. 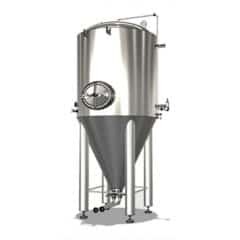 This tank has effective volume 4000 liters and total volume 4800 liters and it is designed for the fermentation, maturation (and also storage, filtering, bottling, filling into kegs) of beer, cider, wine and other beverages, according on selected type of the basic tank (see a tab bellow). Made of stainless food steel DIN 1.4301 (AISI 304). CCTM-2500A2 is a pre-configured modular cylindrical-conical tank CCTM-2500 in recommended configuration A2. 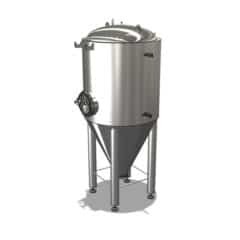 This tank has effective volume 2500 liters and total volume 3000 liters and it is designed for the fermentation, maturation (and also storage, filtering, bottling, filling into kegs) of beer, cider, wine and other beverages, according on selected type of the basic tank (see a tab bellow). Made of stainless food steel DIN 1.4301 (AISI 304). 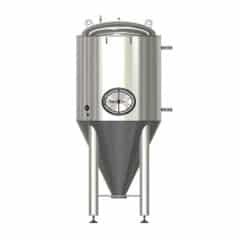 CCTM-1500BT is a basic tank of the modular cylindrical-conical tank CCTM-1500 with recommended effective volume 1500 liters and total volume 1800 liters for fermentation, maturation (and also storage, filtering, bottling, filling into kegs) of beer, cider, wine and other beverages. Made of stainless food steel DIN 1.4301 (AISI 304). This description, offer and price include only the BASIC TANK without additional equipment and accessories described in the section “Optional equipment” . 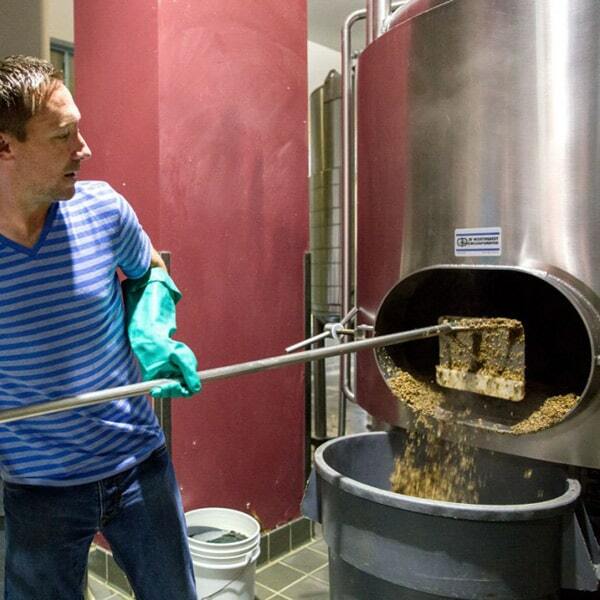 The intensive two-months course about beer production in the small brewery. The tutor is a qualified Czech brewer with years of experience. Designed for individual instruction of an operator and service workers in the microbrewery. 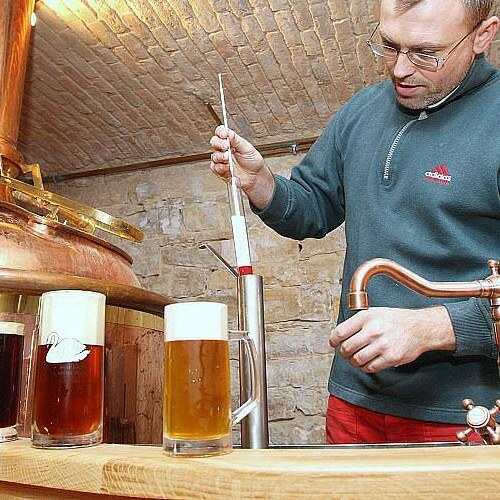 Training and practical training takes place in a microbrewery operated by the customer, alternatively in a partnership microbrewery in the Czech Republic.